It’s that time of year again – the time when gardens are asleep and gardeners dream and plan for spring! For the lawn and garden enthusiast on your Christmas list, we’ve put together some gift ideas sure to get the creative juices flowing. From practical to whimsical, and with prices starting at $10, there’s sure to be something for everyone. If I’ve said it once, I’ve said it a thousand times: “Give your lawn and garden 1” of water per week!” The Springfield 2-in-1 Rain Gauge makes it easy to follow our advice by measuring rainfall in both inches and centimeters, and the removable bottom spike doubles as a sprinkler gauge. 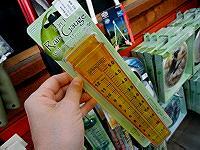 Brightly colored so it’s easily spotted, with large, easy-to-read numbers, this rain gauge takes the guesswork out of watering. Under $5 at garden centers and online. 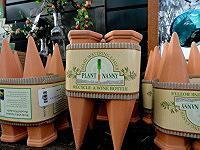 Plant Nanny ceramic watering spikes deliver a steady supply of water to potted plants using a clever water storage system – an old wine bottle! Simply fill the bottle with water, turn it upside down in the Plant Nanny, and insert the spike into your plant. The water will gradually seep into the soil as it dries, keeping the plant nice and moist while you take your favorite gardener away on a long, much-needed vacation. Under $5 for one or $20 for four at garden centers and online. 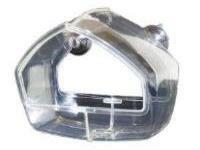 Banish the winter doldrums with the Birdscapes Clear Window Feeder. The wide seed compartment is easy to fill, easy to clean, and easy for the birds to reach. And the crystal-clear design of this feeder makes bird watching easy – just attach the feeder to the outside of your window using the attached suction cups, add a scoop of bird seed, and sit back and watch the show! Under $20 at The Home Depot. 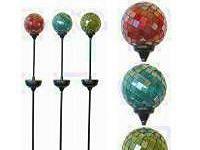 Add both beauty and functionality to any garden with these multi-colored LED solar lights. By day, the colorful mosaic globes cheer up even the deepest corners of the garden. By night, the globes light up using solar-powered LED bulbs, providing gorgeous color and much-needed light to walkways and paths. Sold in packs of three, the globes are weather-resistant and each powered separately for individual placement. Under $30 at The Home Depot. 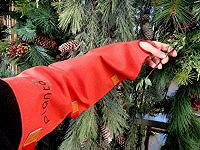 Keep those strong gardening arms safe with the Planto Arm Protector! Made of 100% cotton canvas, these tough arm shields slide on easily to protect arms and shirt sleeves from scratches, cuts, and bug bites. Great for trimming trees and shrubs, clearing brush, or just about any tough job outdoors. The adjustable one-size-fits-all sleeve hooks over the thumb, allowing it to fit easily inside any type of gardening or work glove. Under $50 at garden centers and online. 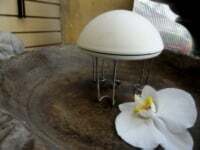 Make any birdbath safer and more enticing with a Water Wiggler from API. These handy accessories create tiny ripples in your birdbath, adding movement and interest to the garden that will be irresistible to humans and birds alike. And in addition to attracting more feathered friends, the Water Wiggler discourages the hatching of mosquito eggs and helps prevent birdbaths from freezing. Available in both battery and solar-powered models. Under $30 at garden centers and online. These gorgeous, handmade rugs are a must-have for porches and outdoor entertaining areas. 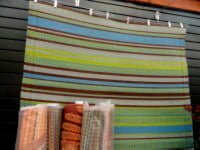 They’re fade and mildew resistant, quick drying, carefree, and with plenty of patterns and sizes to choose from, you’re sure to find a design that’s just right. And even more importantly, these rugs are made of high-quality, 100% recycled post-consumer plastic using fair-trade practices, making this a gift you can feel great about. 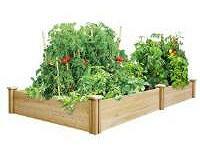 Grow vegetables and flowers on any level outdoor space with the Greenes Dovetail Raised Garden Bed. Made of rot-resistant cedar, this raised bed kit combines craftsmanship with convenience with its easy-to-assemble dovetail joints. Simply slide the boards into the corner joints, fill with soil, and add your plants! Available in a variety of sizes and easily expandable by combining or stacking multiple kits together. Starting under $60 at The Home Depot. 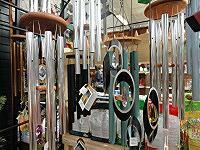 Bring a bit of music to the garden with these musically-tuned, beautiful wind chimes! Designed by Grammy Award winning musician Garry Kvistad, these chimes have one simple goal: to be the “world’s best sounding wind chime.” Constructed of the highest-quality materials and tuned to scales and melodies from around the world, these aren’t your ordinary wind chimes. Available in a wide variety of sizes, songs, and styles, with a one-year-warranty and lifetime tuning guarantee. 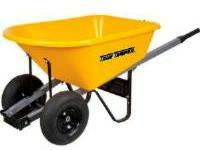 Never tip over again with this sturdy two-wheeled wheelbarrow from True Temper. The large air-filled tires handle bumps without a hitch, and the cheerful yellow 6-cubic-foot bin hauls around bags of soil, stone, or mulch without batting an eye. And with a sturdy corrosion-proof body and steel comfort-grip handles, this wheelbarrow is perfect for garden projects large and small. Under $90 at The Home Depot. You can follow comments to this article by subscribing to the RSS news feed with your favorite feed reader. WHERE DO I GET PLANTO ARM PROTECTORS?